Town Centre Inn with friendly and comfortable bar area. Home cooked food is available all day. En-suite Single and Double Rooms with TV, direct dial phones, laptop ports & other facilities. The present listed building is mainly 19th century. 34 en suite bedrooms; Function and Conference rooms and suites available plus a brasserie with a menu specialising in local produce. The newly refurbished Fleur de lis hotel which has 11 en-suite bedrooms, a restaurant, bar and function room is centrally located in the town centre close to weddings at the Guildhall and near to several golf courses. Ensconced within acres of award-winning gardens, Edwin Lutyens’ private-house masterpiece has been completely re-invigorated. A luxury hotel and restaurant in the middle of Sandwich, it has 17 boutique bedrooms within the main house and its surrounding cottages. The Blue Pigeons has completely refurbished both inside and out in a regency manner compliment with the late Georgian house, was a vicarage. and now has a Fine Food Barn restaurant. The Lodge has 14 en-suite rooms and 12 apartments, which either overlook Sandwich Bay or over the golf courses. The Lodge also has Brasserie on the Bay a contemporary restaurant serving locally sourced produce in a relaxed atmosphere with an emphasis on quality. The Blazing Donkey Country Hotel & Restaurant is an independent family owned and managed hotel, nestled in the beautiful Kent countryside, between the medieval Cinque Ports of Sandwich & Deal. B&B accommodation attached to a warm & welcoming family run country pub. Molland House, one of Ash's finest manor houses, enjoy peace, lovely views, history and luxury en-suite rooms. 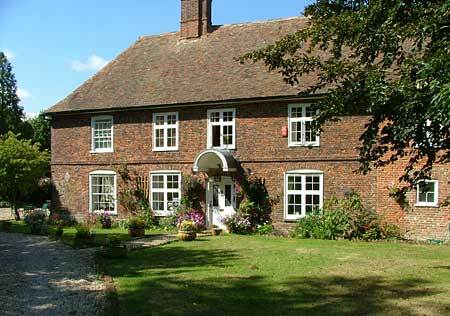 Bed & Breakfast, very close to Sandwich and Canterbury. - Luxury En-suite Rooms. A small 15th century bed & breakfast in the centre of historic Sandwich, a few minutes walk from the quayside and less than a minute from the shops. An excellent place to stay for the golf. We are about 4 miles from Manston airport, served by good bus and train services. Luxury B & B accommodation in Sandwich offering 1 luxury kingsize double private bathroom, I luxury Single, ideally located 5 mins walk form the town & railway station high speed to London, 5 minutes from Royal St Georges golf course and 3 mins drive from the beach at Sandwich Bay. Friendly and comfortable Bed and Breakfast accommodation with two en suite Family/Double/Twin rooms with private access in the old Post Office and Village Shop in the centre of Worth, not far from Sandwich, Deal, Dover and Canterbury. Free Car Parking and WiFi. Exceptional hospitality is guaranteed at this Five Star, Gold Award establishment. Nestled in the heart of a peaceful conservation area just outside Sandwich, Solley Farm House overlooks the tranquil village duck pond and an ancient Norman church. A beautiful 17th century Grade 2* listed house with 2 guest bedrooms each having super king beds and en suites with free standing baths Feel at home with Yolanda and Graham. Nestled in the Kent countryside, Twitham Court Farm is a collection of buildings of architectural and historical importance, many are Grade II listed. The farmhouse dates from 1700s and was formerly part of the Goodnestone Park Estate. This award winning park backs onto open farmland yet is only three minutes on foot from the centre of town. 180 pitches, most with electric hook-ups. Hard standing pitches available c/w water. The Field centre offers reasonably priced accommodation ideal for both wild life enthusiasts and accommodation for Families visiting East Kent. Self Contained Flat with Twin rooms - also an 8 bed room for groups and families. Linen provided. Parking on site. Beamed Grade II listed cottage circa 1677. Located in the centre of the historic medieval town of Sandwich. 2 bed cottage in centre of Sandwich, 5 mins from shops, bars, restaurants, buses & trains. Lounge, dining room,fully equipped kitchen & conservatory, private smallish garden, family bathroom and downstairs toilet. 4 riverside town houses, elegantly furnished situated on the site of the old Town Gate built in 1380. Each has a large lounge with a balcony overlooking the River Stour, 2 bedrooms with king size & twin beds and large well equipped kitchen. Each Sleeps 4, Towels & Bed Linen provided Private Parking. This property is situated in the heart of historic Sandwich, sleeping six comfortably in three bedrooms. 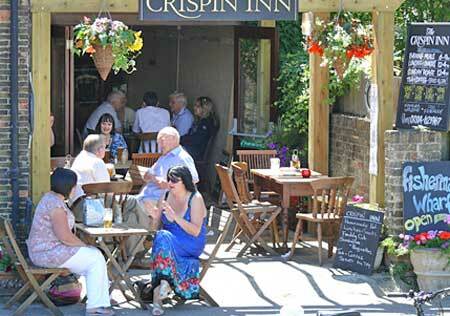 It is within easy walking distance of a good selection of shops, pubs and restaurants. There is an enclosed garden and children and dogs are welcome. Linen is provided. Character 17th century holiday cottage with inglenook fireplace and beams. Central Sandwich. Sleeps 4. Dogs permitted. 3 bedroomed cottage in Sandwich conversation area, sleeps 6, 2 double, 1 twin. Refurbished period cottage. Two reception, kitchen, tv/dvd, courtyard garden. BBQ, Non smoking, no pets. 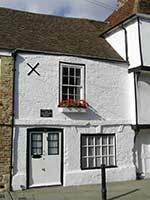 A cosy cottage for 2, set in a tranquil location just 2 minutes walk from the center of historic Sandwich. Perfect for romantic breaks with a four poster bed, plus pet friendly. Sleeps 4. 2 bed Victorian cottage in pretty Eastry Village. An ideal base for visiting historic Sandwich and Canterbury, trips to the Seaside and wonderful countryside walks. Parking on road outside or nearby streets. Small Patio Garden. Pets considered. Nestled in the Kent countryside, Twitham Court Farm is a collection of buildings of architectural and historical importance, many are Grade II listed. The farmhouse dates from 1700s and was formerly part of the Goodnestone Park Estate. The nearby towns & the channel ports plus the many golf courses, nature reserves, gardens and other attractions, all make Sandwich an ideal base to discover Kent, the Garden of England. 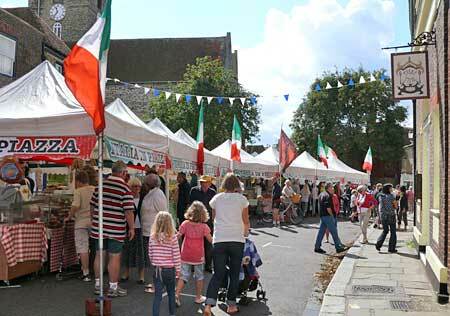 There are plenty of visitor attractions both in & near Sandwich. Also golfers have a wide choice of courses very close to the town, including championship courses such as, Royal St. Georges, Princes and the Royal Cinqueports.